I've been waiting for an excuse to use that pun for ages. FuRyu and Aquria's upcoming PS Vita RPG Caligula is looking sweeter and sweeter as we see more details let slip about it. 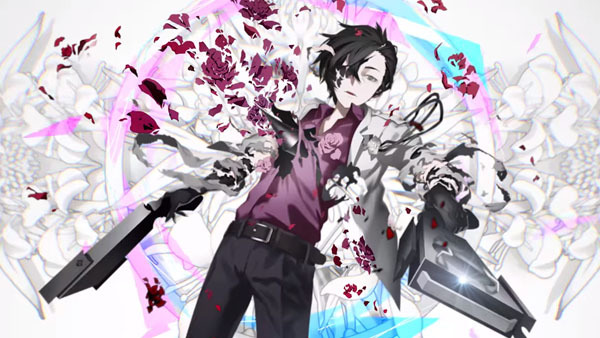 From the scenario writer of Persona and Persona 2, it looks just like a regular Persona title, and that's part of why it's such an exciting title to watch. Set in the world of "Mobius," a virtual reality realm created by software named "Î¼" Caligula follows a team of nine men and women who just want to get back to the real world. In Mobius, there are over 500 students living in their own bizarre "academic" world, and talking to everyone you can is one of the keys to possibly escaping this bizarre world. In addition to what sounds like a pretty gripping story, the character art isn't too shabby, either. If you haven't given it a look, you may want to do some investigation on Caligula before its Japanese release this year on June 23. There's not been an English release just yet, but hopefully it's coming. This just screams for an Atlus or XSEED release, and anything from Persona writers is likely going to feel like it's cut from the same cloth.